First there was Harry vs Twilight, now a new debate has arisen. Which is the better series – Hunger Games or Harry Potter? Are you a Hunger Games fanatic or a Harry Potter fan? I loved Both books and talk about them constantly with my friends and family, (both of whom have gone insane hearing me talk about them so much). But I have to say Harry Potter wins. One reason is the great hook beginnings. The first Hunger Games book has a great hook but catching fire takes 1/2 the book to get good, don’t get me started on mockingjay. Harry Potter hooks so fast, you can pick it up and read until you finish the book, then you want to pick up the next one. Also MockingJay is (mostly) bad, it bothers me. Harry Potter stays good throughout the whole series. They are both great though. I really enjoyed reading both books, but the winner for me has to be Harry Potter. Every time I read Harry Potter, I marvel at how on earth could JK Rowling think up of all these magical ideas! I really wanted to be just like Harry, Ron and Hermione and I could picture all these fantastic scenarios inside my head! It goes without saying that the Hunger Games series are amazing and loved by many, but personally for me, Harry Potter is the winner! I really enjoyed reading both books but I still think that the Hunger games series were more inspiring. This book really gives out a feeling of worry and sometimes you even feel scared for the characters, for what is going to come next whilst Harry Potter is all about trying to kill Voldemort and defeating beasts. I believe that Katniss went through much more harm than Harry although the magic about Harry Potter really inspires me too. i prefer harry potter because it’s more creative than hunger games. hunger games is just a battle royale for teenagers, when in harry potter they go on huge adventures through time at points. plus, in the harry potter community there are so many more things you can do to become a part of the family, such as find out your hogwarts house or finding your patronus. the most there are for hunger games is a simulator, which is completely random and doesn’t rely on who you are as a person. it is a more interesting unpredictable. the hunger games are very predictable, it was ovisialy going to end with both of them living! harry potter has a better storyline! harry potter all the way!!!!!!!!!!!!!!!!!!!!!!!!!!!!!!!!!!!!!!!!!! In my opinion I personally prefer The Hunger Games, the start, just hooked me in honestly almost instantly, just the way everything flowed and was described just made me want to read more! Then came the part where the games started, I just couldn’t put the book down, every moment something jaw dropping happened! Even at the end of the book I was shocked and felt the urge to start reading the second book! Each moment of the book made me feel a different emotion, scared, sad, worried, shocked and happy! I love how Katniss Everdeen was such a mentally and physically strong individual, and how she volunteered for her younger sister Prim, and how she took care and helped Rue, the young girl from district 11! I loved it so much that I read it in 2 days! I felt sad when I had to stop reading, to go bed. When I read the book nothing disturbed me, the world would be ending and I would still be reading the book! Now I do like the Harry Potter series but I just find it plain and boring, nothing as exciting happened compared to the Hunger Games. The hunger games was just an amazing book that I DEFINITELY recommend!!!!!! I would definitely say hunger games because i am not a fan of harry potter and the hunger games has so much more action into it and it has way more jam packed sequence. hunger games would rate 9/10. harry potter I would rate 4/10 because it doesn’t catch my eye. I personally prefer the Harry Potter series over the Hunger Games for the length of depth of the series. I find Harry Potter more interesting and just want to keep reading it, but not so much like that for the Hunger Games. When I read Harry Potter I find myself lost in the book and it brings out my imagination every time I read it.The hunger games is also a great book but for me Harry Potter definitely wins over it. My favourite book of the Harry Potter series is Harry Potter and the Chamber of Secrets because its got so much thrill to it . Harry potter has so much more imagination and adventures than any other book, that’s why I prefer Harry Potter over The Hunger Games!!! I believe Harry Potter is better than Hunger games. Harry Potter has a great story line. It is magical ! It is suitable for all ages. I also love how they have 8 movies so you can really understand the characters back stories. I also like how they don’t stay on one topic like Hunger games for example they go in the games 3 times. However, Harry Potter goes to Hogwarts, Ron Weasleys house, London etc. Lastly I would recommend the Harry Potter movies and books more than the Hunger games movies and books. The Hunger Games series and the Harry Potter series are two types of amazing books, each in their own special way. To be honest I really don’t know which series I like better, but I am leaning towards the Harry Potter side more than the Hunger Games side. The Hunger games is full of suspense, leaving the reader hanging and not wanting to put the book down, which I think makes a very good book. But Harry Potter is totally different. Full of surprises, and the plot turning out to be so different to what you thought, even though it still has suspense, Harry Potter is the side I’m going to pick (sorry Hunger Games fans)!! I would personally pick Harry Potter as it is full of wonder and humour. Harry potter is a classic as the hunger games is not. The Harry potter series can be read from 8 year olds all the way till adult hood. I highly recommend this book sires. I personally hate the hunger games. It never kept me attentive and that is the opposite of Harry Potter. If I could sit home and watch Harry Potter all day I would because the hunger games is boring. HARRY POTTER FOR LIFE! Although both are amazing and definitely are great examples of the best literature of modern age, I believe that Harry Potter is far superior. Don’t get me wrong, The Hunger Games is amazing as well but does anything really compare to the wonders of Harry Potter? Personally I enjoyed reading the hunger games more that reading the Harry Potter series. Yes they were both well written series but the hunger games really stood out to me. I love JK Rowlings worked and the book was a good read but I enjoyed the plot twists and plans that the characters formulated with other competitors and also the love/ romance between Katniss and Peter in he hunger games. both books were amazing but I loved the Hunger Games more than Harry Potter in conclusion. I think that the hunger games is a better series to read, although I think that the Harry Potter series were a better series to watch. over all hunger games is better. Don’t get me wrong I love the Harry Potter series but I personally think the hunger games series is better. It has all crazy plot points that Harry Potter just doesn’t have. I sorry Harry Potter but the hunger games wins ! I really think that Hunger Games has a much more engaging and active storyline than Harry Potter. Along with that, the story line isn’t that complicated either. I’ve always gotten so confused through out the Harry Potter movies, especially with them continuously adding in new characters in every story. The Hunger Games series is constantly keeping you on your seat, predicting what’s gonna happen next and who will survive. Additionally, the idea of this story line sends chills down your spine knowing that this is supposedly meant to be based on our future. It’s a great and creative storyline that I would definitely recommend. Certainly better than Harry Potter! Harry Potter!!! I mean who doesn’t love Harry, Hermione and Scabbers…oops I mean Ron! Harry Potter is full of twists and turns, highs and lows and heaps of magic! HUNGER GAMES!!! I didn’t even have to think about it. It was an easy decision!!! The hunger games is so entertaining!! But I still love Harry Potter! (not as much as hunger games, of course) GO HUNGER GAMES!!!!!! The Hunger Games!! Harry Potter never really kept my attention. The Hunger Games though was so interesting and exciting and the next page always held a new secret that would change the entire story around. I was never bored and I was constantly on the edge of my seat. I love romance and action so because this was mixed together, it made the book always having my attention. I definitely think the hunger games. Once i started reading the book I couldn’t put it down. All of the thrilling and terrifying adventure makes me want to keep reading. Who doesn’t love the magic and mischief of Harry Potter! I wI have read both book series and watched both movie series and I would definitely have to say Harry Potter. I’ve read both book series and I really enjoyed them, but I have to say Harry Potter. Although the first two Hunger Games were great, Mockingjay seemed drawn-out and anticlimactic, but Harry Potter kept my interest and still does, even though I’ve read the books a million times. Plus, Harry Potter is very well thought-out and planned. Hunger Games or Harry Potter? In my opinion, Harry Potter all the way!!! Harry potter is way better! Love IT! Hunger Games or Harry Potter?? I don’t understand how two things can be so amazing although having two completely different storylines and genres. I LOVE the hunger games, all the intensity and scares. It’s so thrilling and exciting!!! So many emotions in each movie, sadness, anger, frustration, happiness, shock, fear, excitement and so many others. Then there is Harry Potter which is creative and brings wonder and makes my imagination go wild. It also is so exciting whenever someone figures something out or accomplishes something. I could watch both over and over but the one I would choose is …………………………… ……………………………HUNGER GAMES!!! The reason why is because Harry Potter is my childhood but Hunger Games is new to me and I think the scare meter is up to my age where eventhough I still think voldemort is creepy and scary, just the thought of people killing eachother or else they will get killed and getting poisened and stuff is so engaging and gets me on the edge of my seat. Harry Potter is pretty good but The Hunger Games is AWESOME!!!! I really liked the first Hunger games and I also enjoyed the whole Harry Potter series but I think I was more interested in Hunger games because there was more going on. Although it can get annoying that it is broken up in parts. Harry potter defianately. HARRY POTTER ALL THE WAY! Harry Potter all the way!!!! It is a nice long book that doesn’t get boring. It always opens doors to new mysteries and problems. I don’t know! They’re both so good! Can I be neutral? I am not the biggest fan of the harry potter series but i don’t hate it. I find it really hard to remember everyone and the storylines because I’m not a big reader. But the hunger games i finished it in a week and and both of the other books in a week to! Its such a gripping series and the movies are AMAZING to. HUNGER GAMES WINS BY FAR!!! HUNGER GAMES ALL THE WAY!! It’s so hard to choose from, they are both really good. I think that the Hunger Games is a little but more scary because it has more killing and real live killing. In Harry Potter it’s just magic. It’s a hard call. I think personally they are both great series but I really like the way that the hunger games is written and relayed. J.K Rowling is also a great author but Hunger games wins for me. Of course it is Harry Potter. It is really entertaining as well as funny. Also the couples are really cute. I love both but i must Say Harry Potter because it is more appropriate for a bigger range of ages! GO HARRY POTTER!!! The Hunger Games all the way! I have been reading it at home and at the moment and I have to say that it is one of the best books I HAVE EVER READ!! I have read most of the harry potter books and watched all of the movies, the books are way more detailed that the movies and i found out a lot more about Hogwarts and Harry’s life after reading the books but they just started to get to big and long so… I am still going to have to go with the Hunger Games. The Hunger Games got me from the very first chapter and had such great writing that it made me feel as if I was in the Hunger Games with Katniss and Peeta. It is such a fantastic, amazing and incredible book to read, it’s packed full of adventure and heart-stopping experiences! I’m about to read the third book in the Hunger Games trilogy and I hope it’s as great as the other two. I think Harry Potter because it is incredible and always has and interesting twist to every bit, and its not like your predictable normal story it always has sorting new to it. Definitely The Hunger Games, everyone can predict the story of 3 teenage wizards I mean come on! Suzanne Collins was so original with her idea of such a futuristic world, surrounding teenagers of a poor and cruel civilisation, revolving round an annual hunger games in which teenagers are forced to fight to the death. The Hunger Games all the way, a much more original story line fixed with such creativity. I’ve watched and read the Hunger Games and Harry Potter and find that they are both really good books/movies. The Hunger Games book and movie I find is a bit bloodthirsty, but I still really enjoyed it. Then on the other hand Harry Potter is more fantasy, they are both really different genres. I really like the Hunger Games book 1 and 2 but not so much the 3rd. I loved Harry Potter too but I felt it was a really long series, they are both different genres so I can’t really decide. I would have to go with both. has to be The Hunger Games because it has romance and action in one! If you love twilight this is the book or movie for you! Harry Potter is old and not in this centry anymore so Hunger Games is the way to go guys! I really enjoyed the first Hunger games and I also enjoyed the harry potter series but I think I was more attached to the hunger games. i can’t wait till the third movie comes out. I loved the Hunger game because there is more action and the story is addicting and i can’t wait for the next one. I loved both the Hunger Games and the Harry Potter series. But when it comes down to it I think The Hunger Games wins. The Hunger Games is Much More detailed and the characters and the story line are amazing. I have read the Hunger Games series all a few times and I think I could read them again. Harry Potter has an awesome story line full of fantasy and magic and it’s not as sad and dramatic as the Hunger Games. The Hunger Games is more about action, romance, and adventure and those are the things that I love. Both of these books are amazingly written and I would definitely recommend them to girls at this school but I think I would have to go with the Hunger Games due to how many times I’ve read them and I was always excited to read the next page, whereas in Harry Potter I got a bit bored during times, even though it was a good book. Hunger Games !!! I tried reading the first Harry Potter novel but couldn’t get past the first 100 pages because I found it was too descriptive and it got boring really quickly although I love the Harry Potter movies. I COUDN’T PUT THE HUNGER GAMES DOWN !!!! Hunger games defiantly!! Awesome book! Hunger games al the way! its much more detailed and exciting and always amazes e whenever I read it. Theres all the different genres in the hunger games such as war and adventure, and i guess everyone has a different opinion but i recommend definitely reading the hunger games!! DEFINITELY HARRY POTTER! I love the series and it will always be my favourite franchise! Although I don’t mind The Hunger Games and have read all of the books I just love Harry Potter more. Im not sure why maybe because its more magical! Totally Harry Potter! I know the movies off by heart! Read the books and Harry Potter even has a theme park thing and Twilight does not! Also what kind of vampire sparkles?? Not cool in my books. Harry Potter All The Way! I have read both books and I can tell you that Harry Potter is way better than Hunger Games because the Hunger Games are completely pointless. You go in an arena and kill people. At least in Harry Potter they can fly on broom sticks while the hex you. I like Harry Potter because you can read the series when your little or when your old. The whole series is timeless. Just imagine a grandparent trying to read Hunger Games to their grandchild for their bed time story. Yuck! Whoever thinks Harry Potter in nuts! The Hunger Games forever! DEFINITELY HUNGER GAMES!!!! I mean is that even a question??? The hunger games is my absolute favourite hands down. I like both but i Love the Hunger Games! so Hunger Games all the way! Hunger games is the perfect book for anyone 10+ (my recommendation) with action, drama, romance its all you could ever need in book. It’s also really emotional and has deep meanings in-between the words. I absolutely adored this book and i think most people will too. I love Harry Potter and the Hunger Games. They are both creative and unrealistic. I say that Harry Potter is better because it has 8 movies and the Hunger games only has 2. The Hunger games is to brutal and has too much killing and stabbing for my liking. I prefer just the flash of light and your drop dead. They are both romantic movies. Although the boys are better looking in the hunger games than in harry potter. But I still say Harry Potter, it’s just better all together and more thought out. deefinetly hunger games once you have seen/ read the book/movie u just have to read/watch more! it has suspense all throughout the book/movie BEST BOOK EVER! I love both of the movies and books, but I’ll have ti stay with the classic Harry Potter!!!! In 20 years time it is guaranteed that both of these books will be considered classics if they aren’t already, because they have changed the readers point of view of things or even in some cases their lives. The Hunger Games made me realise that no matter what horrific things happen the media will always portray the ‘love’ side of it. In the Hunger Games and also in real life, the media are dismissing the countless children that are sacrificed for entertainment and are focusing on Peeta and Katniss’ love, and in real life the media are doing the same thing by focusing on ‘the love triangle’. Most people don’t seem to realise that the love story only plays an extremely minor part in the story and are already comparing it to Twilight. I grew up with Harry Potter and his universe, I began watching the movies at a young age and only began reading the books when I was 8 years old. These books by J.K Rowling have practically shaped my life, with out them I probably wouldn’t like reading as much as I do know… The books go through just about every theme of a teenager’s life from love to classes to bullying. I feel that no matter what Harry Potter will always be with me and will be my first choice for favourite book series. It would have to be harry potter for me!!!!!!!!!!!! It has a much better story and characters! I really don’t know, Hunger Games is really amazing but Harry Potter is an oldie but a goodie! I have always enjoyed movies that involve witchcraft and wizardry things because they are really enjoyable to watch. I also like movies like Hunger Games because it’s action packed! Out of both of them, I would have to choose Harry Potter! I LOVE THEM BOTH BUT I THINK I HAVE TO GO FOR HUNGER GAMES BECAUSE THERE IS MORE ACTION IN IT! if i have to choose it would totally be HARRY POTTER because of its magic, romance & i have to say all the different Enemies put such a different twist to other books about WITCHCRAFT & WIZARDRY. its amazing on so many levels. even though i am a big fan of both i just think HARRY POTTER is way better than the Hunger Games personally i think theres to many deaths in the hunger games & just the right amount of deaths in HARRY POTTER. so when you trying to decide on one of them go HARRY POTTER you will soon be just as obssesed as i am. there’s always action and there is always that sense of mystery that keeps you wanting more in HARRY POTTER so thats why i like it more. 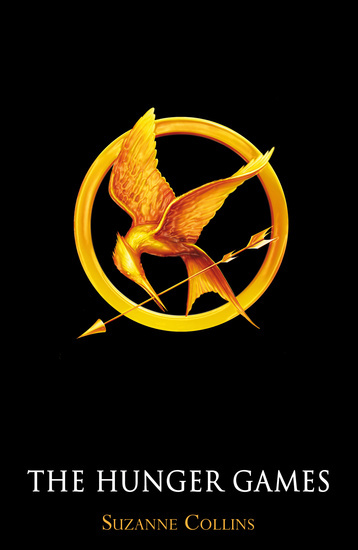 Hunger games- most amazing movie ever! FOR ALL THAT SAID HARRY POTTER YOU ARE AWESOME!!!!!! I love them both. I have read them both several times and seen the movies, but the Harry Potter series was better by a fraction. the hunger games just seemed to lag on a bit and was very predictable. and the love between Katniss and Gale was a bit stupid. All that build up and then it turns out he goes to district 4? Harry potter was just so gripping and exiting. and i couldn’t wait to read one book after i finished the other. So harry potter all the way. the movies were AMAZING and so were the books. i would so go to Hogwarts if i could. Sorry Hunger Games fans, but harry wins! Harry Potter for ever and EVER till death do us part, i have never really been a fan of the hunger game, yeah, HARRY POTTER!!!!!!!!!!!! Harry Potter all the way! I love the hunger games, but I find Harry Potter’s adventure better and more interesting to read/see. I really like both but I think I prefer the Harry Potter Series because it has more fantasy than the Hunger Games. It is a great series of books and movies and I especially love the myth-like creatures like dragons and mermaids. Like I said they are both good books an great movies but I still Liked the Harry Potter series better. Great movie to watch on a Frida Night with some Friends. I loved both but l must say that Harry Potter would have to be my favourite It has many funny parts and heaps of enjoyable series, it is fantastic for all ages. Harry would have to be my favourite character because he is not afraid of anything and has great leadership. Also the book collecte is fantastic which the hungry games dose not have…. yet. This is about the movie but the hunger games was one of the best movies i ever saw i loved how you didn’t now what was next and the element of surprise was so good!!! I love Harry Potter it’s so funny! So charming! So enjoyable! So good for all ages! I love Harry Potter, the BOY WHO LIVED! This is so much better than the hunger games because there is less violence, making it more enjoyable and better for younger kids. I have to say that the linc stumps me here. Oh and Harry Potter is the BEST!!! i love the hunger games but their are more harry potters to enjoy and i vote them both 100% but harry potter all the way there both amazing stories though. Honestly I have never been a big fan of Harry Potter and when the Hunger Games came out the choice was made simple. THE HUNGER GAMES!! I like the Hunger Games better then Harry Potter because people can relate to Catness’ position. I guess I would have done the same to my younger sister to save her. My favourite character would have to be Rue, because she saved Catness’ life. My favourite part of the movie was when Catness stood up for herself and shot the bow and arrow at the apple to get the scorers attention. I would recommend this to 12+ and I would rate this 10/10. I love Harry Potter and it does have a unuique story line. But the Hunger Games is so different it is an original idea that everyone loves. Hunger Games all the way. I love Harry Potter but I also loved the first book of The Hunger Games. I choose Harry Potter though, there’s always action and there is always that sense of mystery that keeps you wanting more. I liked the first book of The Hunger Games but it sorta faded after that… SO HARRY POTTER ALL THE WAY!!!!! um…… I honestly don’t know how to choose! I think I will have to go go with, ohhhhh, um….. the Hunger Games, but I haven’t read every book in the either, the third Hunger Games book I haven’t read, and all of the Harry Potter books from 4 up, so yeah, I might not think the same once I have read them. hunger games wins for me!!! I love both but Hunger Games have better books and I haven’t seen the movie but I love Harry Potter movies because Harry (in most of them) is very cute…and a good actor of course. their entire families! Definitely Harry Potter. Deeper plot summary and more interesting. Go HARRY POTTER!!!!!!! I vote for the Hunger Games because it’s really exciting and has a good storyline. Best Movie, Best Book!!! I have been reading it in Literature Circles at the moment and I have to say that it is one of the best books I’ve ever read!! I have read the 2nd Harry Potter book in year 2 but I found it really boring. I probably found it boring because I was so young and didn’t understand it that much but I still have to go with the Hunger Games. The Hunger Games grabbed me from the very first page and made me feel as if I was in the Hunger Games with Katniss and Peeta. It is such a fantastic, amazing and incredible book to read, it’s packed full of adventure and heart-stopping experiences! I’m about to read the second book in the Hunger Games trilogy and I hope it’s as great as the first. Although I am a fan of both the Hunger Games and Harry Potter books, I would have to say that Harry Potter is the winner here. The magic of the story brings you into Hogwarts, and engulfs you, which makes you feel like you are with the ‘Golden Trio’. Although the Hunger Games is almost equally as captivating, I think Harry Potter has a deeper, more meaningful plot, and more detailed characters. Harry! Harry! Harry! Harry! Harry!!!!! Come on guys Harry Potter all the way its heaps more exciting and takes you into a whole new world full of magic! hunger games definitely the best movie i have ever seen!!!! I like them both but I prefer Harry Potter because I think it is just more enjoyable to watch and less gross. I really enjoyed both of these books but the Hunger Games was defenitley an amazing book that had me on the edge of my seat and harry potter’s adventures were very thrilling, but I would have to say THE HUNGER GAMES!!!!!!!!!! I rate this book a 11/10! i strongly believe that harry potter is way better than hunger games harry potter has a better story line than hunger games, harry potter just sucked me in where as i never finished hunger games as it just made no sense to me at all!! I think I might go Harry potter. I love both the books and there both great but I was more interested in Harry potter. This is a difficult situation but i’m gonna say HARRY POTTER!!!!! I Love Both of them. They are similar in some ways. They are both action packed and amazing. The difference about Harry Potter is that it is all about magic and some people don’t like magic. So that is why they chose the Hunger Games. But I love them both because I love movies that are acition packed and exciting. Harry potter defiantly i have the hole series and they are great books if you have not read them READ THEM!!!! Plus that’s only my option so……………….. Finally someone agrees with me!!!! I love the hunger games I can’t wait until the next one it will be great to see them back on the screen and which and the action again but in movie 2 can’t wait!! Hunger games if fresh new and way more exciting then harry potter. It takes you on a emotional ride and keeps you hooked! Durrrrrrrrrrrrr, the hunger games obviously Harry potter is ok though but hunger games still beats it!!! I have to say harry potter, i love the mystery the type of fantasy, it just works and it is an awesome story i love to go back and read any time! I love it how they use magic it really gets my imagination flowing! Why not Hunger Games? It’s the best. No Harry Potter for me More Hunger Games. To the Hunger Game lovers hope there’s more Hunger Games books. I LOVE THE HUNGER GAMES because of the way that it’s written, how it’s from Katniss’s point of view. I love how Susanne Collins has been able to ad some romance to action and taken real life things into the books (politics, war). GO TEAM PEETA but I also love Gale. Although I prefer the Hunger Games, I still love the Harry Potter series. I love them both soooooo much but i think i’ll go with the classics. hunger games definitely! Although the Harry potter is quite good I absolutely love the hunger games. I think the hunger games are a lot more exciting because harry potter doesn’t have as much action and is a bit to predictable. I also found harry potter a bit to repetitive because it was always the same at the end with harry and Voldemort battling. …The reason for that is i have watched harry potter ages ago and it is OLD. i find this is not as “action packed” as the hunger games. The Hunger games is new and read the book and watched the movie. so if you like action packed movies and full of adventure… you would LOVE the book!! Hi my name is Maggie and I love the hungry games I like it because I love what happens the part I love the most is at the end how they have to kill one or another and they decide they will both kill them self or both stay! I also think it’s really cool how they have the people who control it and they can put animals and they just start chasing them! I love all of the Harry Potter books, and the movies.I think that they are so good. I think that theses books are great for all ages. Im not a big reader but i go crazy over these books. I would rate theses books 10/10, i think they are a must read !!!!!!!!!!!!!!!!!! They are both well written but I would have to say Hunger Games because it is new and fresh unlike harry potter its like thats old school. The Hunger Games had more action and romance in it, but it is sort of like the twilight series. Don’t you think? I definitely agree Hunger Games is always so good and always will be. The hunger games! I love the hunger games, everyone knows about harry potter and it’s been around for awhile, but the hunger games is newer. I think that I also enjoyed the hunger games more, it had more action in it. Go hunger games! Hunger games BY A FAR LEAD! i just watched the the Hunger Games last night and I have to go with the Hunger Games. I mean they are both really good but I tend to get a bit board watching Harry Potter. So the Hunger Games it is. As much as THE HUNGER GAMES was amazing and I loved it to bits, so much you do not understand, HARRY POTTER will beat all because nomatter how long ago the movies were finished, they will always be remembered and the best book. FOREVER. The hunger games 100% it has so much action in it loads more than harry potter the only action in Harry Potter is near the end of the movies. I personally think that Harry Potter wins, because firstly Harry Potter has been with me for a long time, hunger games hasn’t. My point of you of Hunger Games, yes it is a pretty good book and movie but it’s so sad and i see them stabbing people, i know that with Harry Potter there are bits were people die, but i know it’s magic and wizardry, the Hunger Games seems a little bit more life like. Harry Potter also has more books and movies out. My favourite Character out of Harry Potter is……….. Hermione, it’s Hermione because she is so out-going, funny, smart good actor and is strong, oooops i forgot to mention she is quit pretty too. So i defiantly pick Harry Potter!!! Wow! I could never chose between Hunger Games and Harry Potter I mean Hunger Games is so thrilling and sad and Harry Potter is thrilling and mysterious they are both my favourite series. My Dad and I would rush to get to the cinemas if the new Harry Potter came out but The Hunger Games captured me the first minute I started watching. There both so amazing and that is why I could never chose between Harry Potter and Hunger Games. I like harry potter because it has more books and it has more drama in it, so it makes it more interesting. I vote The Hunger Games, Harry Potter never really kept my attention. The Hunger Games though was so interesting and exciting and the next page always held a new secret that would change the entire story around. You were never bored, you were constantly on the edge of your seat. I like Harry Potter. It is better than any hunger games book or movie. I have never been much of an action book reader, but when I read The Hunger Games my mind changed and now I love it so much, as for Harry Potter I read the first chapter, and was bored, but I persisted and got up to the 3rd book where I could not handle the same storyline over and over. In the Hunger Games, you become attached to the characters and their lives and survival throughout the the book. I think Harry Potter is a bit repetitive, and in the Hunger Games every page tells a new idea. Thank you Hunger Games, you have made me a loving book-reader again. I really like both of these books, Harry Potter has Magic, Adventure and all kinds of other things, but I prefer The Hunger games because after each page I wanted to know what was going to happen next! I Just couldn’t couldn’t take my eyes off this book. My Choice is The Hunger Games! Its an easy decision definitely harry potter just because if i could i would absolutely want to be one of them but hunger games is still a great book but i would always say that harry potter beats everything in every way possible and that would be the best series ever written!!!!!!! Um….. way to much violence in Hunger Games, like all the creepy pale faces lying on the ground with blood all over their faces and knives in their throats and stuff, but it was amazing because your on the edge the whole time wondering whats gonna happen and waiting for something, but thats like Harry Potter aswell… Its so CONFUSING!!!! Harry Potter is sooo awesome though! It’s so interesting and…you just can’t explain it! Both of them are AWESOME!!!!! And they’ve each got their GREAT moments! Go team Hunger Potter? ?…..Harry Games??….. I must say both books are absolutely amazing, but I wouldn’t be able to choose. Although both books have adventure, love, and an amazing storyline they are both completely different ! I see Hogwarts as a beautiful place you can go to when reading, but who would want to go to Panem ? Then again, the Hunger Games storyline has a really deep meaning about people, differences, and expectance. Its about people fighting for what they believe in. But Harry Potter is written in a very smart way, and everything always gets explained and has a purpose. I love that about Harry Potter. I have never seen either but I’m sure there both good and very interesting. I believe that both books are great reads. If I had to choose, I would prefer to read the hunger games because I don’t like the dark, spooky, unrealistic theme of Harry Potter. All though not all of the Hunger Games is non-fiction, I find that story weaves a connection to life in the olden days, when people were classed into rich and poor, and that kids had to fight for their freedom, making the story more believable. The Hunger Games is put into a teen action-adventure genre were as Harry Potter is more fantasy so at the end of the day the two book are not very similar making it very hard to choose from the two. After a long time, I come to the conclusion that the Hunger Games it better than Harry Potter. I throughly enjoyed the Hunger Games and can’t wait for the rest of the movies to come out. This is really hard to choose but I would have to say The Hunger Games, mostly because it’s the in thing and Harry Potter is now finished, but I still love Harry Potter! HARRY POTTER DONT EVEN HAVE TO THINK TWICE !!!!!!! ohhh such a hard decision…… i think i would pick harry potter for the movies just because they explain so much and they are pretty close to there books. But i think that Hunger games was a better book, this is because it was very descriptive and i thought the movie had not nearly enough infomation. How can I possibly answer this question! I love the huger games and all the action in the movies, I also really love the books but Harry Potter has always been there like an old friend and it’s also got lots if action and it’s magical. I can’t choose, there is no way you can make me chose because both are really good books and really good movies by really good authors and they are both awesome! I think Harry Potter, I basically grew up watching Harry Potter, I would watch them over and over for days. Although Hunger Games is great, I prefer Harry Potter to Hunger Games. the hunger games, because it has alot of action and i think it’s so much more interesting and unique and it shows how compassionate people can be and will get. The sacrifices in these books and the movie is amazing. They characters have so much courage and confidence. the hunger games books are better than the harry potter books, but the harry potter movies are better than the hunger games movie. its hard to decide which is better until they release mockingjay as a film!! Well firstly, these two Series are my absolute favourites ever and I really love them both. I grew up with Harry, Ron and Hermione and I will always have a special connection with those books and the fandom is just amazing. I have read all the books countless times but I still experience the same emotions every time. Harry Potter has a very strong message of love, hope and friendship which was scattered through the 7 books and 8 movies. The books are so descriptive and so heartwarming in parts that I will always remain a potterhead. When the final movie came out last year, I was sobbing in the cinema. I got so many strange looks but I didn’t care because I loved the series which made up most of my childhood. I was only exposed to the Games in the past holidays when my friend dragged me to the movies to see it. I was completely amazed and I couldn’t wait to get my hands on the books. I haven’t actually finished Mockingjay but I can still whole heartedly say that this is such an epic series! There is so much detail and it is so amazing that I haven’t been able to put the books down. Katniss is such a brave woman who I really look up to and Peeta is one of the nicest characters I have ever read about. I have so many emotions and I am basically screaming “No Katniss! Don’t Do that!’ to the book. I am completely in love with this series and I can’t wait to finish Mockingjay! I would like to point out that the authors who made these incredible series’ are both female. JK Rowling and Suzanne Collins are AMAZING< AWESOME, INSPIRING ladies who I realllllllyyyyy look up to and I would be overwhelmed if I were to meet them. I thank these woman so much for creating vital parts of my childhood which I will always carry with me forever. I will read these books to my kids, grand-kids, nieces, nephews, brother, sister………….. I love both of these series and I am so proud of Suzanne Collins and JK Rowling and I am so thankful for these wonderful worlds I know and love. deffentiley harry potter, nothing will beat the harry potter books they are amazing! I wouldn’t be able to pick between The Hunger Games and Harry Potter. Harry Potter was around while I was growing up, I have always known it and even people that haven’t read the books or seen the movie know who and what Harry Potter is. I like the Hunger Games because of it’s originality, there are so many books on magic however The Hunger Games has a completely different approach. I read that Suzanne Collins came up with the idea of The Hunger Games while she was watching television. She said that she was watching a channel with teenagers competing for something and she changed the channel and there was a war going on. I have always loved Harry Potter; from the plot to the characters. J.K Rowling is an amazing writer and always will be. The Hunger Games is an extraordinary book, the story line is very original and no other writer could pull it off. My hat goes off to Suzanne Collins for creating such an astounding book. I think BOTH authors should create prequels to their books. The Hunger Games; how it all began and Harry Potter; when James Potter or even Albus Dumbledore was in Hogwarts. Although I love Harry Potter I would have to say Hunger Games gets my vote. It’s just such a great movie. It is really captivating and thrilling and I didn’t look away throughout the whole movie. You didn’t know what was going to happen next and I just couldn’t wait to see what it was. I also really loved the characters especially Peeta. I already love Josh Hutcherson outside of this movie but this made me love him even more. I also really like Katniss. She was a really great sister and was a great role model. She also was really strong and never gave up throughout the whole games. I would recommend this movie to people 12+ because it has some violent themes throughout it. I would rate it 10/10 because I absolutely loved it! Altogether I think that Hunger Games is a great movie and I can’t wait until the other movies come out. Harry Potter and Hunger Games are different books so it is unfair to compare them. I think Harry Potter was more pleasurable to read because it had its funny moments in all the books. I liked how it was more light hearted than the Hunger Games and was so magical. It really took you to a whole new world full of magic and thrilling adventures. Harry Potter definitely wins my vote!!! HARRY Potter Always Gets Vote no matter what!! Why because Harry Potter has everything and ticks all my boxes to make a great novel. Harry Will always be good even if you read the the 7 book series over 5 times!!!! Even though I LOVED the hunger Games Harry is da bomb!!!! The Hunger Games and Harry Potter are my two favourite book, so I find it really hard to choose between them, but if I had to choose I would go with the Hunger Games because I find it more exciting than the Hunger Games. The Hunger Games is so addictive, that I couldn’t put the book down and finished all 3 books in 4 days. I think that both stories have good story lines that are very different and very interesting and that makes them both great stories to read. I like all the characters in both books, especially Hermione from Harry Potter and Katniss from the Hunger Games. I like the Hunger Games because it is different to other types of books. I would definitely tell everyone to read both of the books, because they are great. I give the Hunger Games a 10/10! Hunger Games Katniss is awesome! I’m not sure which one I like more. The story lines on both of them are so different it’s hard to compare them. I love the magic in Harry Potter but I also love the Loyalty in Hunger Games. Both of the characters are well thought out and they both deserve numerous awards!! GGGGGGGGGGRRRRRRRRRRRR! Harry potter just has more history to it and like someone said will never die- hunger games is better than twilight but i think the same thing will happen- its a phase…. But they are both fantastic and the hunger games book gets me hooked… but i still go Harry Potter. Although it feels like I have practically grown up with the Harry Potter series I think it’s time for a change and hunger games is the perfect solution for it much more on the edge of your seat than the Harry Potter movies. Loved the first book of the Hunger Games whereas attempted to read first Harry Potter book but it was to slow and boring to start and a good book needs excitement right up until the last sentence. They are both great but I think that Harry Potter is better. AHH! I can’t wait till the 22nd of November next year when Catching Fire comes out! i have loved harry potter for as long as i can remember, and i will love it forever, but hunger games is so much more daring and left me on the edge of my seat the whole time, i loved it! so i chose HUNGER GAMES! love them both!!! i have a sick obsession with the Hunger Games because its fresh and new, where as Harry Potter will be alive forever and will never die!!! HARRY POTTER of course. I love the Hunger Games but Harry Potter just can’t be beat. It always going to be better than any book, no matter how old it gets. And plus, who doesn’t want to go to Hogwarts. So it’s Harry Potter for me!!!!!!!!!!!! I haven’t actually seen the hunger games but it looks really good i really want to see it. I also love harry potter because you never know wats gonna happen next unless you have seen the movie but hunger games has heaps of suspence. I love both of these books but I have to say the hunger games just wins me over, it is so exciting and you just never want to put it down as opposed to Harry Potter which can get boring at some points. I think definitely harry potter even though I have not read the book of hunger games. Harry potter is a classic and will never be taken away from its 110 out of 100! Harry potter always wins the prize because it has been around since I can’t remember when and its thrilling unlike those other boring books you have to read! THE HUNGER GAMES ALL THE WAY!!! i totally love this book! it’s so interesting and nail-biting! 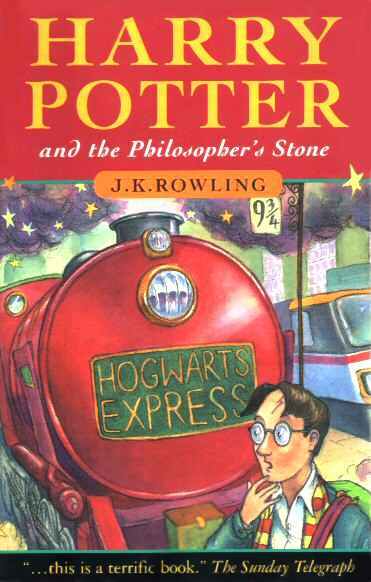 This book is better than Harry Potter in my opinion! Go Katniss! HARRY POTTER IS LEGENDARY AND DON’T LET ANYONE EVER DISAGREE!!!! both amazing novels, beautifully written and a really close call. I think the storyline in Harry Potter is a little more uplifting and not as dark and grim. The romance in Hunger Games is much more dominant and the typical love triangle. The storyline for Hunger Games comes across as a little more imaginative. Harry Potter is a favourite among soooooo many people and has been so popular for so long. The HP movies have finished with Hunger Games just starting. Like HP Hunger Games appeals to many audiences. For me though I think Hunger Games would only just be a tiny bit better. Although it is almost too close to call!! Both incredible books that will have a long lifetime. OMG THE LINC TOOK IN MY SUGGESTION! THANKYOU SO MUCH!!! omg this is soooooo hard for me :S i love them both soooo much!!! I want to thank my friend Maddie for suggesting the Hunger Games to me. THANKS MADDIE! the hunger games is just so outstanding! i cried when i found out that i couldn’t go to LA to see the premiere of the Hunger Games. hehe 🙂 poor me! anyway…Harry Potter will never die down and thats why i love it. The Hunger Games is just fresh and exciting but i will give them both a rating out of 10 and i vote them… 10/10 for both! OMG thx Becca I love you 2 😀 Cato for life babe! HUNGER GAMES ALL DA WAY MAN!!!!! haha thanks Maddie again 🙂 Cato for life!!!! Maddie and Becca I love you both but it has to be PEETA!! With that in mind i pick..
Harry potter was cool once just like Myspace was cool once (a long time ago). So its Hunger Games hands down!! Yeah Harry Potter was good but the hunger games was a gripping tale which i finished in a week !! (all of them) Dudes the hunger games rules! TOTS AGREE gracie, go hunger games all the way!! ❤ u peeta, lets go c hunger games again( 4 me) gracie love u!!! I love them both, but I think the Hunger Games is just a touch more up there. HARRY POTTER!!! HELP WILL ALWAYS BE GIVEN AT HOGWARTS FOR THOS WHO DESERVE IT! Harry Potter!! But I still love Hunger Games! !